This newsletter is all about bank billing to corporations and other wholesale bank services users: standards, adoption of standards, billing practices and optimizing the billing experience. Progress by the industry group CGI-MP in development and adoption of BSB and AFP Global Service Codes. Building a Business Case for Bank Services Billing (BSB). A BSB Rulebook for the German Market. A BSB File is Finally Available from My Bank…Now What?!? Support for the Bank Services Billing standard continues togrow as additional banks support and market practice grow. What’s the incentive? Efficiency, transparency, accuracy. Service Codes is in final draft. Building a Business Case – Corporate case studies – Views from corporate practitioners on the value realized fromuse of the Bank services Billing schema. German Market Rulebook –Progress by German banks in defining a German domestic market practice for use of the ISO 20022 BSB. 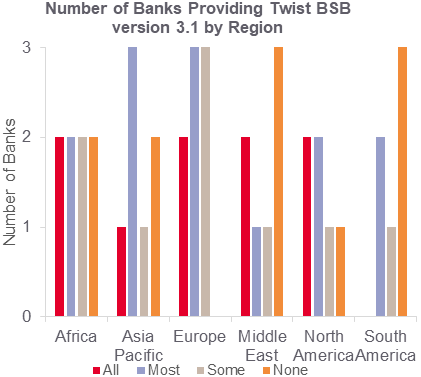 Bank Survey Results – Global availability of BSB – The survey has been completed. Bank and country coverage of ISO 20022 and TWIST BSB capabilities are reported. A BSB File is Finally Available from My Bank…Now What?!? – Tips and tricks for the corporate practitioner. AFP Global Service Codes – Standardized billing item codes for use with BSB. Revision of the BSB FAQ. Members of this group have also developed a whitepaper featuring corporate case studies on use and value of BSB. The Bank Survey Results Have Been Published – The bank survey is now complete and is discussed in detail later in this issue. Updated vendor survey results are also included in this issue. Updates to the AFP’s Global Service Codes – A new version of the AFP’s (Association for Financial Professionals) Global Service Codes is in final draft. A task force led by Bridget Meyer and Stephanie Andersson of Redbridge DTA, and composed of CGIMP Workgroup 5 members, has finished its review and submitted recommendations to the AFP. The task force reviewed each of the 900+ codes before making their recommendations. Enhancement of the services covered to make it more representative of country requirements and billing practices outside of the USA. The addition of codes for Merchant (Debit/Credit) Cards, Prepaid Cards, and Corporate Purchasing Cards all under a new product family called CRD for Card Services. While most banks are not billing for card services through BSB, there are a few banks that do have this capability and the committee wanted to have the basic codes covered. Similarly, a new product family for Trade services will be added with only a few high level codes to accommodate those banks that are able to connect this type of billing. Corporate Treasurers, Banks, and Vendors Adopt the AFP Global Service Codes – The CGIMP Workgroup 5 members, including corporate treasurers, major banks, and vendors all agreed to adopt the AFP Global Service Codes as the standard code to be used in all BSB files (TWIST as well as ISO 20022 camt.086). Many banks are already using these codes in their files and those that are not plan to implement them in the very near future. Whitepaper: Building a Business Case for Bank Services Billing – CGIMP WG5 has developed a whitepaper featuring corporate case studies on the benefits of electronic bank billing and reporting. Transparency Know what you pay and what is happening! Efficiency – Get rid of manual/paper based workflows! Simplicity Make things easy! Get fast analysis! Serenity Make your auditors happy! Advice Give strategic input to Management! This case study aims at fostering a sustainable solution that works both for banks and corporates. An Updated BSB FAQ is Now Available – A new version of the FAQ was developed earlier this year and has been posted to the TWIST and ISO 20022 sites. This latest version now addresses both ISO 20022 camt.086 and TWIST versions of the BSB message specifications. In Germany, a working group of “ Die Deutsche Kreditwirtschaft ” (German Banking Industry Committee) is currently working on a camt.086 format specifica- tion for the German market. The working group consists of representatives from all banking sectors in Germany (private, savings, cooperative and public banks). The specification is based on and compli- ant to the current ISO 20022 format camt.086.001.02. One aim is to promote the use of camt.086 in Germany by cre- ating standardized field allocation rules taking into account the characteristics of the German banking market. The use of camt.086 is still optional. But if German banks offer camt.086, they must comply with the rules of the Ger- man specification (“ DFÜ Agreement ”), so that all customers get a uniform format. The work on the specification is near completion and a publication is scheduled for early 2018, valid from Novem- ber 2018, an appropriate decision of the DK – board assumed. Within the USA, corporate treasury teams have had access to bank billing information for decades via the EDI 822 statement. This format has become the de – facto method for providing treasury staffs with detailed information on bank services including standardized service codes published by the Association for Financial Professionals (AFP Service Codes©). The demand for the same information on a global basis has increased in the last years. That need has been met with the TWIST BSB file. This file format came into existence with the help of several large global banks, corporations, and provid ers coming together to lay the founda tion for international bank fee data. There are two main versions of the BSB file: the TWIST BSB V 3.1 and the newest iteration, the ISO 20022 camt.086. The main differences between the EDI files traditionally provided in the USA and the international BSB file are the addition of multiple currencies and the reporting of taxes. Corporate treasurers reading the results of this survey should keep in mind that while files may be not ed as available in a certain country, avail ability may be determined by the size and classification of the accounts held. The European market is driving the adoption of the BSB globally. The availa bility of TWIST BSB or camt.086 files has advanced significantly in recent years in this region. North America, Africa, and Asia Pacific have moderate availability thanks to the participation of the world’s largest banks expanding their capabilities globally. The Middle East and South America have the most limited availabil ity. The best way to determine if a file is available for a specific company is to ask your account officer. Since its inception, the BSB file has been steadily gaining in acceptance and will become an integral part of your interna tional treasury operations. By leveraging this data, corporations can gain fee visi bility into their bank services allowing them to properly purchase services and control and reduce costs across the globe. 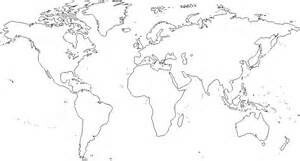 As mentioned earlier, coverage is not complete across the globe. Work still needs to take place for the BSB file to match the level of acceptance and state ment detail seen with the EDI822 state ment in the USA. Continued growth of this standard will be driven by banks, corporates and providers working to gether to create awareness and demand within the treasury space. Vendor Survey Results Are Updated! The vendor survey was published in the January 2017 issue. Since that time an additional vendor, Kyriba has reported their information. 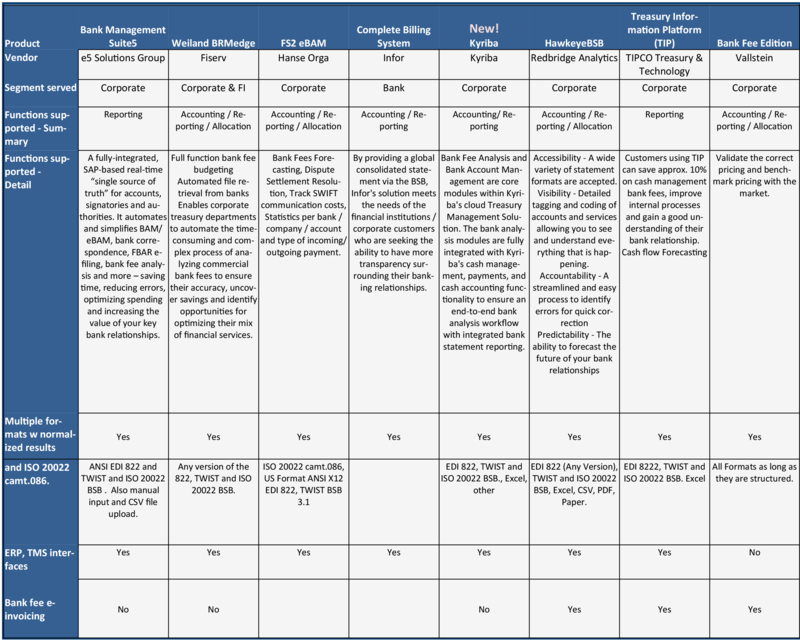 Kyriba has been add ed to the list of fintech companies, now numbering 8, providing applications with BSB related functionality for corpora tions and/or banks. After much anticipation, your bank has finally made a BSB file available. This is exciting news whether it’s your first BSB or the latest addition to your other BSB banks and/or regions….but now that the BSB is available, what’s next? The Bank Services Billing (BSB) is an elec tronic statement used internationally to report on corporate financial services usage. The BSB includes the service charges, detailed tax information, and related currency translations for a speci fied billing period. The BSB exists because the challenge of analyzing your bank fees manually can be daunting. Especially for corporates with multiple banks worldwide – or who are looking to analyze both their US and international fees together – the sheer volume of data included in these state ments is more than what any one person can manage by hand. With hundreds or thousands of accounts and services, a spot check on certain accounts or a re view of the relationship summary ac count is the best that can be done. The BSB file provides the data in an elec tronic format that can be interpreted by software that provides the treasury de partment with the summary and de tailed information they need to review fees and help implement more effective processes. The BSB file contains a wealth of information that, when used in conjunction with an effective bank fee analysis process, can help your treasury department become a more strategic partner in the organization. Now that you understand what the BSB is, have a plan on how to use it. The BSB exists to help you analyze your bank fees as part of your global account analysis process – a critical task that eve ry treasury or finance department should complete each month. This account analysis process ensures that you are only paying for services you contracted at the price you negotiated, but can also help you save money, generate more revenue, enhance your bank relation ships, optimize your treasury operations, uncover insights about your business, and more. It ’ s something every corpo rate should do, no matter their size. Easily identify incorrect charges, such as non – contracted services, invalid pric es or charges on closed accounts. Generate timely and relevant reports for management. Understand the services being utilized and how they are used in the busi ness processes. Complete an analysis every month which allows for trends to be identified. With a best practice account analysis process in place, it’ s time to put the BSB to use. The first step is to contact the bank and request BSB statement delivery. The BSB file can be sent in an encrypted email with password protection, pushed to a Secure File Transfer Protocol (SFTP) loca tion, or downloaded via the bank portal. The organization and person receiving or retrieving the BSB file will depend on your implementation method and the bank fee software vendor/consultant. Traditionally, the BSB file is received by either the treasury or IT department within your company or by the bank fee software vendor/consultant. On average it takes one or two billing cycles for a BSB to be generated. 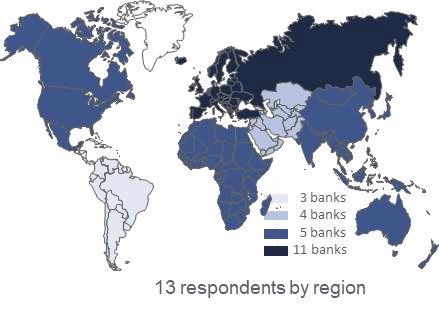 Some banks generate one file for all regions while others will generate a file based on the region or country. The bank may activate a new service for BSB genera tion and delivery. There is a fee to re ceive the BSB file, but it may already be bundled with one of your existing service items or it could be offset by discontinu ing paper statements. When the BSB file is finally received, you can use bank fee analysis software to capture and analyze it. The contracted prices should be confirmed so that the price comparison and validation can be executed on a monthly basis. Internal codes and industry codes can be as signed to accounts and services respec tively. The assignment of codes will al low for in – depth analysis and easy slicing and dicing of data. 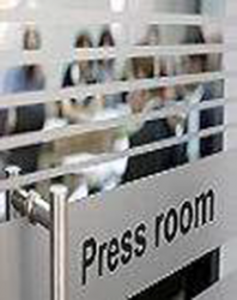 These initial steps and the ongoing maintenance of prices and codes are critical to ensure valid reporting. Bank fee software vendors and consultants will help guide you and can often complete these steps for you. In addition, they may have options to maintain your data and provide a month ly analysis on an ongoing outsourcing basis. 4. But What if I Don’t Have Time to Analyze my Bank Fees? Even the best laid plans can run into trouble. Unfortunately, the analysis of bank fees often falls by the wayside because there are so many other daily and monthly responsibilities that fall on the shoulders of the treasury team. Many treasury teams understand the importance of analyzing their bank fees, but they simp ly don ’ t have enough time to do it well or consistently. Some treasury teams may have had someone responsible for account analysis full time, but this per son moved on and the new person was never fully trained. Others will do an in – depth analysis once a year only to find the same mistakes appear 12 months ’ later. Because it ’ s always easier to pay the bank invoice without reviewing it, account analysis often suffers when things get busy. And even though direct debit or cursory review may be the easiest thing to do, it is not in the best interest of your compa ny … or your career. So instead of passing up opportunities to reduce your fees and capture the insights buried within your statements, recognize account analysis for what it is – a critical treasury task – and find someone to help. If you don ’ t have enough internal re sources available to do it yourself, there are several vendors who can do it for you. These partners act as an extension of your team who analyze your BSB, 822, spreadsheet and paper statements each month on your behalf. They can provide an in – depth analysis of your monthly statements, summarize their findings, and flag areas of concern so that you can capture all the benefits of a fully dedicat ed, expert analysis operation without having to invest all the time. And im portantly, they can monitor your bank fees each and every month so that sav ings opportunities never go past the point where the bank would be willing to provide a credit. Now that you’re receiving and pro- cessing a BSB each month, what next? Your large banks know it would be im possible for large corporates to analyze their account analysis statements with out a BSB and have many other clients just like you. The BSB has been available for nearly a decade now and your large bank partners should be able to provide one. If they can ’ t, encourage them to do so and make the BSB part of your regular bank reviews, scorecards, and RFPs. Team up with your peers from other corporations via trade groups, vendor groups and other organizations to speak with a unified voice. The BSB is a vital treasury tool that banks, as your trusted partners, should be able to provide. Your medium sized banks should be aware of the BSB and, depending on their orientation, may or may not serve other clients with a similar need. If you are one of only a handful of clients ask ing for a BSB, your bank may have a hard time justifying the expense of producing a BSB; but, if you are a key client or they are interested in expanding their market share, they would be wise to offer it. As with your large banks, make the BSB part of your scorecards and RFPs and find other bank customers to partner with. Your smaller sized banks may find it diffi cult to provide a BSB, nevertheless, it doesn ’ t hurt to ask. Understand their challenges and encourage them to serve you as best they can. At the bare mini mum, ask for a machine readable spreadsheet that you can import into your bank fee analysis solution if a BSB is not available. A BSB is a like gym membership, it only works if you use it. And it only works well if you use it correctly, consistently and with the right tools. Before you ask your bank for a BSB, be sure you have a plan in place that includes the right tools, people and processes to unlock the BSB ’ s full potential. If you need help establishing your ac count analysis process, there are many consultants, including those from soft ware providers that can help. Think of them as personal trainers who can help you make the most of the BSB with a best practice account analysis approach designed specifically for you. After all, whether you analyze your fees yourself or outsource your analysis to a third – party partner, you need to have a best practice account analysis process in place to capture the full value of the BSB, serve your company and advance your career . Robert J. Blair, ISO 20022 RMG, TWIST Standards, ASC x9. A group of banks, corporate treasury practitioners, financial application vendors, and standardizers working to harmonize use of BSB and other standards. Work Group 5 addresses BSB. Current version of the standard BSB (ISO 20022, camt.086) and related documentation. including: Message Usage Guide describing “… the data content requirements of the Bank Services Billing (BSB) standard as defined by ISO 20022.” A useful guide for implementers. A sample file as well as a field by field cross reference document: ISO 20022 to TWIST to ANSI x12. SWIFT — Co-submitter with TWIST of the ISO 20022 BSB schema. Secretariat for CGI-MP. TWIST – Transaction Workflow Innovation Standards TeamAuthor/submitter of the TWIST and ISO 20022 BSB. Discuss various topics or issues using TWIST forum. Visit our library to read all TWIST categorized documents in one page. Visit TWIST FAQs page and find your answers before asking. Copyright 2008 - TWIST Process Innovations, Ltd.